The ESPN networks’ coverage of college football’s regular season wraps up this weekend with a group of championship matchups on its schedule. The weekend’s coverage begins live from Detroit Friday when No. 21 Western Michigan takes on Ohio for the MAC Championship. Broadcast begins at 9 p.m. EST on ESPN2. Adam Amin will have the call for the game. He will be joined by analyst Mack Brown for additional commentary. Reporter Molly McGrath will be on the sidelines for all of the latest in-game news and interviews. The action continues at 9 p.m. EST live from Santa Clara, CA where No. 9 Colorado will take on No. 5 Washington for the 2016 Pac-12 Conference Championship. The game will be broadcast live on ESPN Radio. Bill Rosinski will have the call for the game. He will be joined by David Norrie for additional commentary. Ian Fitzsimmons will have all of the latest in-game news and interviews. No. 4 Clemson rounds out the weekend’s coverage as it takes on Virginia Tech for the ACC Championship Saturday night at 8 p.m. EST on ABC and ESPN Radio. Clemson is in the College Football Playoff Top 4 right now. Chris Fowler will have the call for the game on ABC. He will be joined by Kirk Herbstreit for additional commentary. Reporter Samantha Ponder will have all of the latest in-game news and interviews. Bill Rosinski, David Norrie and Ian Fitzsimmons will have the call on ESPN Radio live. In all, seven championships will be decided this weekend on the ESPN networks. The season’s final rankings will be revealed Friday at noon. One more ranking will be announced tonight at 7 p.m. EST on ESPN. The full schedule for the ESPN networks’ weekend conference championship matchup coverage is noted below. 8 p.m. 2016 Dr Pepper ACC Football Championship Game from Orlando, Fla.
TNT continues its NBA coverage with another double header schedule Thursday, with the Cleveland Cavaliers and the Los Angeles Clippers leading off the night. The Cavs plays host to the Clippers live at 8 p.m. EST Marv Albert, Chris Webber and David Aldridge will have the call for the game. Ernie Johnson, Charles Barkley, Kenny Smith and Shaquille O’Neal will carry pre-game, half-time and post-game Inside The NBA studio coverage. Kevin Garnett and special guest Rashed Wallace will have additional commentary throughout the night’s games live from Area 21. The second game on the night will see the Golden State Warriors hosting the Houston Rockets at 10:30 p.m. EST. Kevin Harlan, Reggie Miller and Lewis Johnson will have the call for the game. TNT’s NBA coverage continues Dec. 8 with another double header scheduled led off by Minnesota and Toronto at 7 p.m. EST. Kevin Harlan will have the call for the game. He will be joined by analysts Reggie Miller and Grant Hill for additional commentary. Reporter Kristen Ludlow will be on hand for all of the latest in-game news and interviews. The Bulls will host the Spurs in the second game of the night. Tip-off is scheduled for 9:30 p.m. EST. Marv Albert and Chris Webber will have the call for the game. Reporter Allie LaForce will be on hand for all of the latest in-game news and interviews. Kevin Garnett will be joined live in Area 21 by WNBA Champion and two-time league MVP Candace Parker for additional commentary. This past October, underground industrial/goth metal outfit Gabriel and the Apocalypse released its latest full-length studio recording The Ghost Parade. The Minneapolis, MN-based quintet’s new record is a good fit for anyone that is a fan of Otep and to a lesser extent Prong, Nine Inch Nails and other acts of that ilk. That is due both to the album’s musical arrangements and its lyrical content. The songs mix together Nine Inch Nails’ industrial elements with the hard-edged sound of Prong and Otep (even front woman Lindy Gabriel sounds eerily like Otep front woman Otep Shamaya at points) for a record that musically speaking, will easily entertain its key audiences. Lyrically speaking, the record covers a number of topics, too including politics, world issues and more. 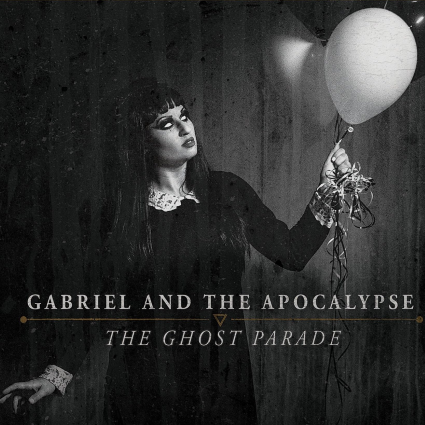 All things considered The Ghost Parade is a record that Gabriel and the Apocalypse’s fans will soundly celebrate. Gabriel and the Apocalypse’s latest full-length studio recording (and its Pavement Entertainment debut) Ghost Parade is a record that the underground goth/industrial act’s fans are sure to celebrate. Between its musical arrangements and its lyrical content, it presents plenty for fans to appreciate. The album’s opener ‘March Of The Dolls’ is a prime example of how the album’s musical arrangements and lyrical content come together to make the album stand out. In regards to its musical arrangement, the song is a powerhouse composition with a sound that takes the best elements of Otep, Fear Factory and (believe it or not) Type O Negative and binds them together into one work. The end result is a work that will surprise audiences in the best way possible. That is because of the manner in which the arrangement balances those elements. It is just one part of what makes the song stand out. The song’s lyrical content is just as important to note as its musical arrangement. The musical arrangement presented in ‘March of The Dolls’ is important in its own right to the song’s overall presentation. It balances a number of different influences throughout the course of its nearly three-and-a-half-minute run time, and does so expertly, too. That in itself is certain to keep audiences entertained. While the song’s musical arrangement plays its own important role in its presentation, it is just one part of what makes the song stand out. Its lyrical content is just as important to note as its musical arrangement. Gabriel sings in the song’s lead verse, “You want/You need/To beg and to please/Get on/Your knees/I’ll make you believe/I want/I need/I love/The taste/My sweat/Is smeared across your face/My god/My god/It’s all/The same/Another sinful/Another save/But I can’t/Resist/Cuts down my wrist/I put it back together/What matters is the ending.” It’s a rather dark statement to say the very least. What is interesting here, though is that considering such a statement, it would have been easy for the band to go more in the standard, brooding goth direction with the song’s arrangement. But instead it went the aggressive route. In hindsight it seems to serve the defiance seemingly exhibited in that lead verse. The song’s second verse is very similar to its first with only one real minor change, which comes in the end of the verse. The real power that matches the song’s musical arrangement comes in the song’s final moments as Gabriel sings, “I’ve found myself…in the Ghost Parade…What do you think of me now?” That last group of lines is especially interesting because it has been noted that The Ghost Parade is a personal record for the band’s front woman. That final statement perhaps illustrates how personal it is for her. It is almost as if she is saying through this song, she has grown and become someone new through all of the negativity that she has experienced in life, so “how do you like her now?” It is a bold, powerful statement that when coupled with the song’s musical arrangement becomes even harder hitting. Considering this the song in whole proves to be just one example of what makes The Ghost Parade a record that the band’s fans will celebrate. ‘March of the Dolls,’ with its powerhouse musical arrangement and equally interesting lyrical content is solid proof of why Gabriel and the Apocalypse’s fans will celebrate the band’s new album The Ghost Parade. It is just one of the songs that serves to show what makes the album stand out. ‘Colour of Winter’ is another of the album’s songs that serves to make it stand out. This song is the polar opposite of ‘March of the Dolls’ both in terms of its musical arrangement and its lyrical content. Speaking first about its musical arrangement, this piece is that dark, brooding composition that goth fans will appreciate. It is driven largely by the work of drummer Zach Williams and guitarists Jake LaCore and Joey Connelly. Keyboardist Figgles McGee (no, that’s not a joke) adds an extra touch to the song, too. The end result is a work that instantly conjures thoughts of works composed by Marilyn Manson and his band mates. That is especially the case when Gabriel’s vocal delivery is joined with the work of her band mates. It is only one part of the song that should be discussed. The song’s lyrical content adds even more depth to its presentation. ‘March of the Dolls’ and ‘Colour of Winter’ are both key examples of what makes the Ghost Parade a record that Gabriel and the Apocalypse’s fans will celebrate. That is due to the songs’ musical arrangements and their lyrical content. Each song presents its own identity through its arrangement. One arrangement is an aggressive, full-force composition that greatly enhances the defiant statement presented in the song’s lyrical content. ‘Colour of Winter’ is the polar opposite (no pun intended) of ‘March of the Dolls.’ Both musically and lyrically, this song is the kind of work that any goth fan will appreciate just as much as the band’s more seasoned fans. While both songs show clearly through their musical and lyrical content what makes The Ghost Parade a piece that audiences will celebrate, they are not the only songs that will do so. ‘Mazarine’ shows in its own unique way what makes The Ghost Parade stand out, too, beginning with its musical arrangement. 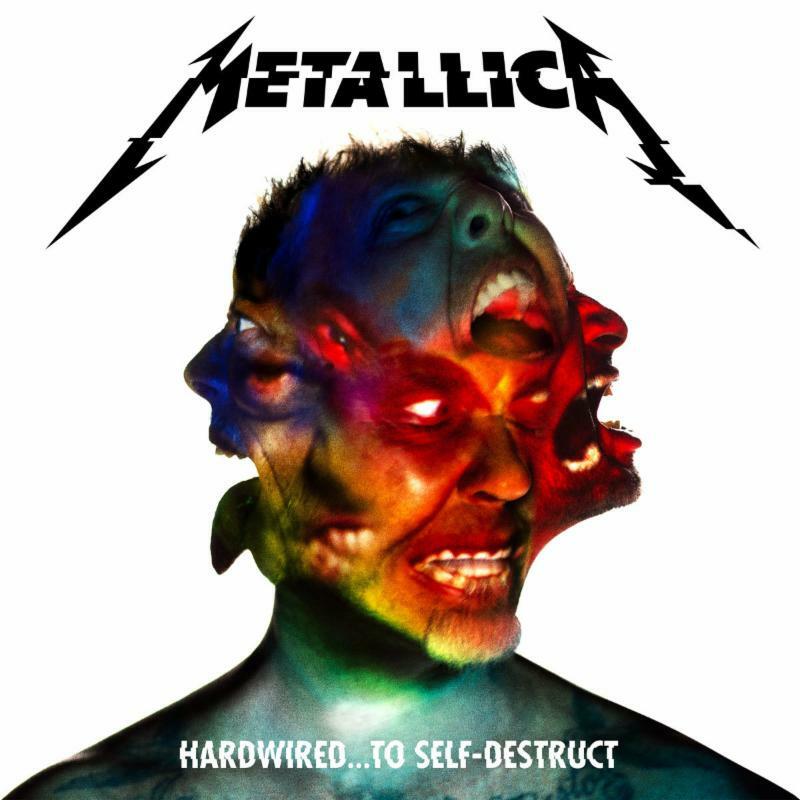 This song’s arrangement is a mid-level hard rock piece that boasts a hard rock/industrial hybrid sound. It isn’t the full-throttle piece that is presented in ‘March of the Dolls’ or even the more brooding ‘Colour of Winter.’ Rather it could be argued to be the closest to mainstream accessibility that the band reaches in this album. Keeping that in mind, this arrangement could be the best chance that the band has at mainstream success in this album. Of course the song’s arrangement is just one half of what makes the song stand out, just as with the other discussed songs. The song’s lyrical content is just as important to note as its musical arrangement. The musical arrangement presented in ‘Mazarine’ is a key part of what makes this song stand out. It is perhaps the closest that the band comes to mainstream accessibility with its new album. As important as the song’s arrangement is to its presentation, its lyrical content proves to be important in its own right. Lyrically speaking, it will likely have audiences thinking and talking more than any other of the album’s songs. At one point she sings what seems like an ode to someone else, but at other times the song seems to touch on a wholly different matter. When that metaphorical language is coupled with the song’s semi-mainstream musical arrangement, the whole of the song becomes a work that would fit easily alongside the likes of Lacuna Coil, Evanesence and so many other more mainstream goth/industrial acts. It is just one more example of what makes The Ghost Parade stand out. When it is joined with ‘March of the Dolls,’ ‘Colour of Winter’ and the rest of the album’s offerings, the album in who proves without a doubt to be, again, a work that goth and industrial fans in general will appreciate just as much as the band’s more seasoned fans. Star Trek celebrated its 50th anniversary this year, and in celebration of the occasion, The Smithsonian Channel (which is part of the Discovery Communications networks), aired a special centered on the series and its impact on the world with its scientific revolutions called Building Star Trek. 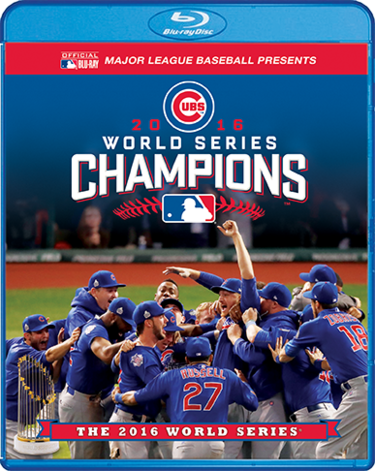 Now thanks to a partnership between The Smithsonian Channel and PBS Distribution, audiences can own it for themselves on DVD. There is plenty for audiences to appreciate about this special beginning with its central topic. That will be discussed shortly. The information that is shared throughout the 92-minute program is just as important to note as its central topic. That will be discussed later. The program’s transitions round out its most important elements. Each element is important in its own way to the program’s presentation. All things considered, they make Building Star Trek a special that the series’ fans will appreciate just as much as scientists and students. Smithsonian Channel’s new Star Trek special Building Star Trek is a program that the series’ fans will appreciate just as much as scientists and students. That is due in part to the program’s central topic. For all intents and purposes, the program’s central topic focuses on the series’ cultural and scientific impacts. It does this as it follows the efforts to both restore the original U.S.S. Enterprise model for the Smithsonian Museum (go figure) and the effort to bring to life a full Star Trek exhibit for the EMP Museum in Seattle, WA. The exhibit in question chronicles Star Trek in each of its incarnations. Though for the sake of this special the focus is on the location and restoration of pieces from the original series for the exhibit. The items featured in that hunt and work include Captain Kirk’s chair from the bridge of the show’s set, an original phaser and tricorder from the original series, and even Checkov’s control panel from the bridge set. 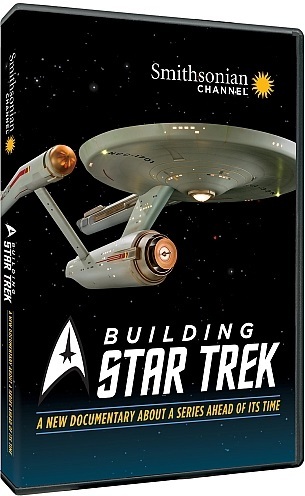 So while the program really just focuses on Star Trek: TOS at its center, audiences will still enjoy watching the efforts of all involved to locate and restore what are such important artifacts from one of television’s most landmark series. To that end, the program’s central story plays its own important part in this special’s overall presentation, though it is not the only key element to note. The information that is shared throughout the course of the program is just as important to note in examining this program as its central topic. The topic at Building Star Trek’s center is key in its own right to the program’s presentation. It focuses mainly on the efforts by two groups to locate and restore items from the series’ original set as part of a national celebration of the series’ 50th anniversary. It’s little different, to that end, from the likes of OUTATIME: Saving The DeLorean Time Machine. Regardless, it is interesting in its own right. However, the information that is shared about that hunt and about the series adds even more interest to the program. One of the most interesting pieces of information that is shared throughout the program is the relatively unceremonious way in which the show’s main set was disposed of. Audiences learn that the set was basically dumped on a backlot and then cannibalized by students at a university (that is the actual wording used by one interviewee) for their own projects. One can’t help but wonder if those who made the decision to do away with the set in such fashion have any regret for what they did, now fifty years later. Just as interesting to learn in watching the program is that not only are scientists working to duplicate tractor beams, cloaking devices and even warp drive, but they are also working to create efficient medical devices to mimic the tricorder. If such a device could be created and patented, it would potentially revolutionize the medical community as we know it. There is also a discussion on the importance of recently discovered gravity waves and their importance in the efforts to make warp travel possible. These are just some of the intriguing discussions that are raised over the course of the program’s 92-minute run time. There is much more that audiences will find interesting. Some of the material is old hat, obviously (communicators being the influence for today’s smart phones, automatic doors influencing today’s motion activated doors everywhere, etc.) but there is still other material—such as that about tricorder tech development—that audiences will find just as interesting if not more so. Keeping that in mind, the information that fills out the program’s body proves to be just as important to the program’s presentation as its central topic, if not more so. It still isn’t the last element to note. The program’s transitions are just as important as its central topic and information to its presentation. Building Star Trek’s central topic and key information are both pivotal to the program’s presentation. Its central story celebrates the series’ 50th anniversary while also setting the stage for the information that is used to illustrate the series’ ongoing importance. While both elements are important to the program in their own right, they are not its only important elements. The program’s transitions are just as important to note as its previously discussed elements. The transitions are important to note because they are what keep the program moving, and doing so smoothly for that matter. The program focuses on the restoration efforts both on the East Coast and West Coast. So obviously it goes back and forth as it follows the efforts of all involved. As much as it has to go back and forth, the program keeps its transitions wholly smooth each time. It doesn’t just jump from one point to another. That is thanks in part to the program’s writing and also to its editing. Thanks to the work of the program’s editors and writers, the program makes its transitions at all of the right moments. This in turn serves to maintain audience engagement and entertainment. As audiences remain engaged and entertained, they will then catch all of the information noted here and more, and will gain their own appreciation for the program’s central topic. All things considered, it should be clear why Building Star Trek is a program that scientists will enjoy just as much as the series’ fans.